Please list all tickets received (paid for or not) the last 3 years and accidents (at fault or not) the last 5 years. Type "None" if none. The Good Student Discount will be applied to your account once we receive a copy of the report card or transcript. Some companies may require a signed request to remove a vehicle. If required, we will email you the form for e-signature or your can write out the request and send it to us by email or attach it below where it says: "Send Documents"
If we are removing or lowering coverages (higher deductibles), the company will require a signed request. If we are adding or increasing coverage (lower deductibles), the company will require photos of the vehicle. You can wait for the form to be e-mailed to you for e-signature or you may upload it using the "upload" button near the bottom of this form. 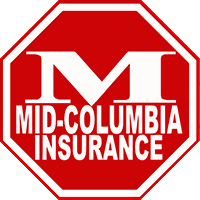 I understand that no changes will go into effect until an agent has reviewed the request to make sure it complies with my insurance company's underwriting guidelines and the change has been accepted by the company.